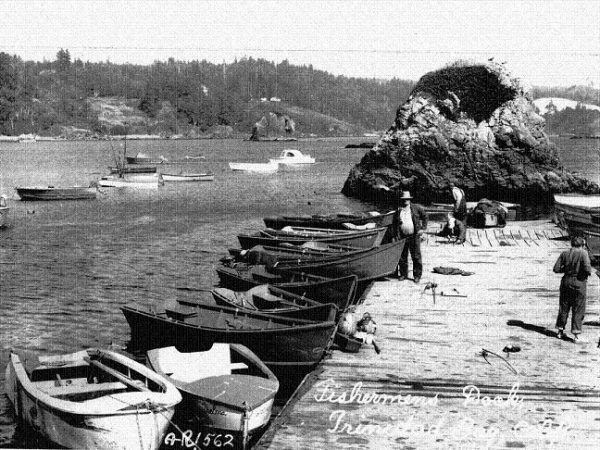 The history of commercial fishing in Trinidad, California is a rich one. 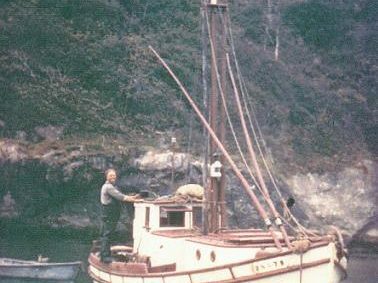 It is a tale full of storms, danger, hardship, success, community, competition, skill, and luck. The story is enriched by a cast of characters one could not make up, even with the wildest of imaginations. 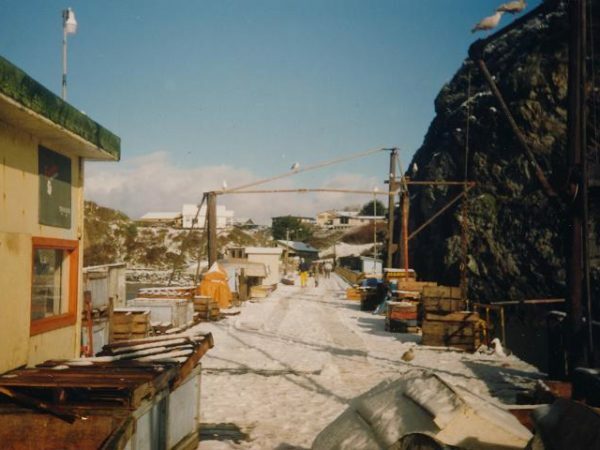 The men and women who make up Trinidad’s fishing community are best described as a salt bunch. This community is bound together by an intriguing combination of what may be called an ethical code of conduct, friendship, loyalty, and, above all, fierce competition. 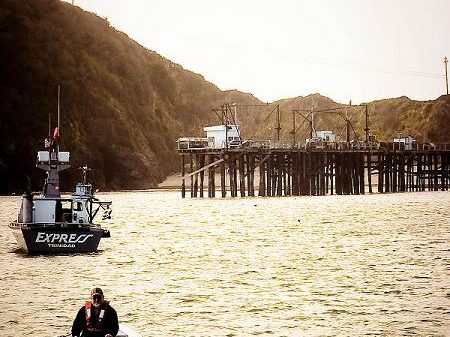 Many people seem to misunderstand fishermen and their often gruff exteriors, but what truly sets them apart is their love of the sea and their need for the adrenaline rush that their chosen profession provides. 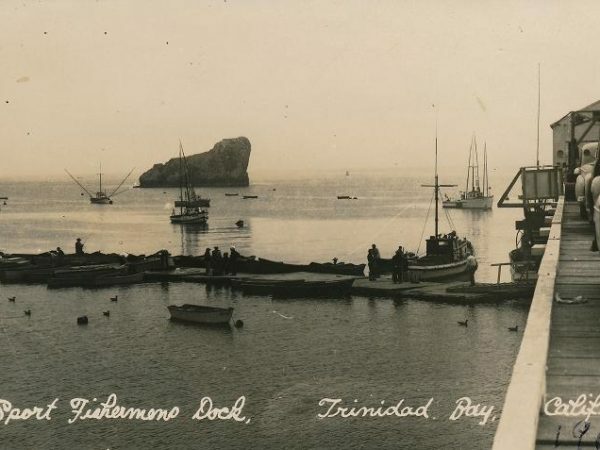 There was a time when commercial fishing thrived in Trinidad and town modo’s included: Trinidad, a drinking town with a fishing problem; and Trinidad, where the West ends and the fishing begins. Now that time has passed. 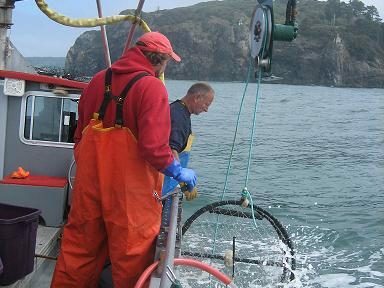 A greatly diminished commercial fleet of 17 boats fishes for dungeness crab from December 1 through July 15 yearly, but salmon season has all but vanished. For most people the time between Thanksgiving, at the end of November, and the New Year is a time for holiday festivities, spending time with family, vacation time, breaks from school, and generally a time for relaxing. 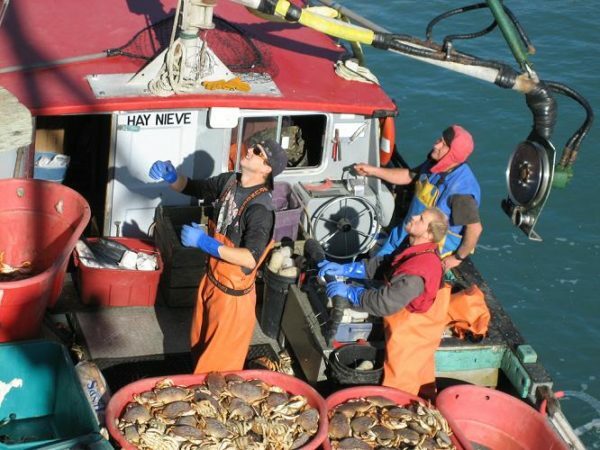 For fishermen on the North Coast this period of time means three things: work, exhaustion, and money. 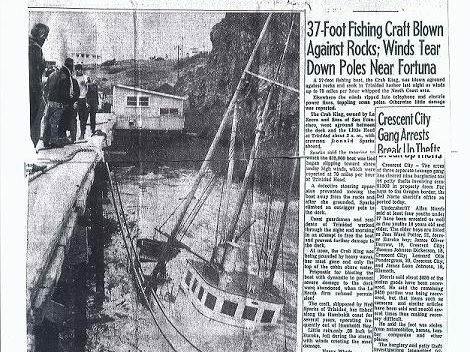 Every year with the holidays, comes long hours on the unforgiving ocean. These hours stretch into days and the days into weeks. 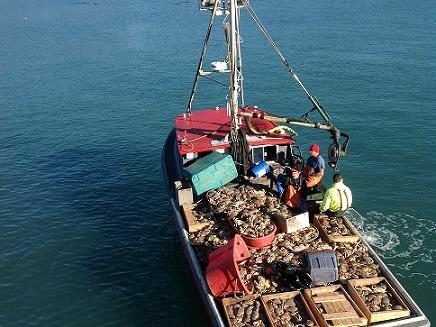 For a crab fisherman out of Trinidad, the time between December 1, when the commercial season opens, and January 31 represents the majority of his annual income. 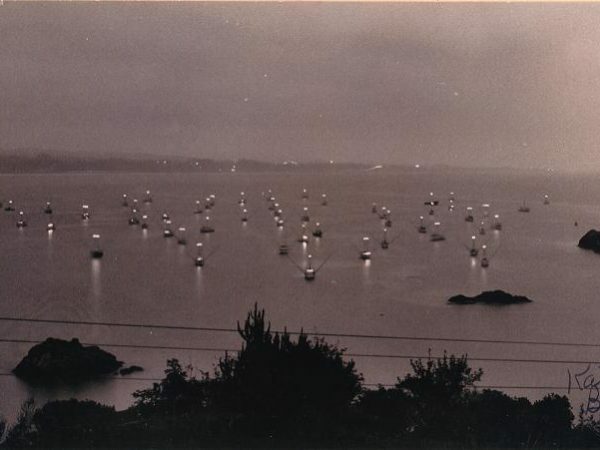 Photographs in this exhibit courtesy of Bob Hallmark, Zach and Susan Rotwein, Fishermen’s Wives Association, Tom Kraasch, David Peterson, Greta Daniels, the family of George Collins, Marge O’Brien, HSU Katie Boyle Collection, Times-Standard Archive and Trinidad Museum. The exhibit was produced by Tom Sharp, Alexandra Cox, Grace Rotwein, Katie LaSala, Scott Baker and Patti Fleschner. 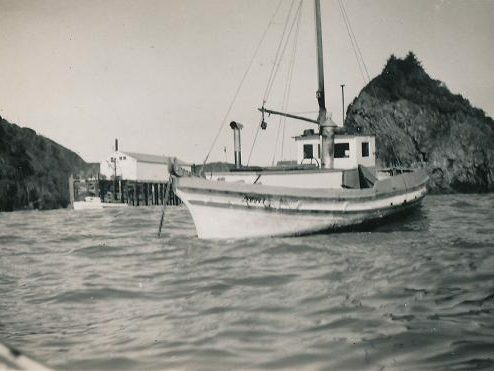 Hallmark skiffs at floating dock for hire during a plentiful salmon season, 1950s. 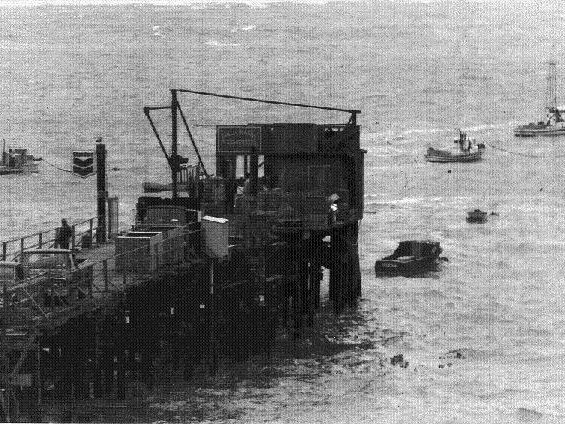 1950s vehicles on pier and floating dock with skiffs ready to transport fisherman to their moorings. 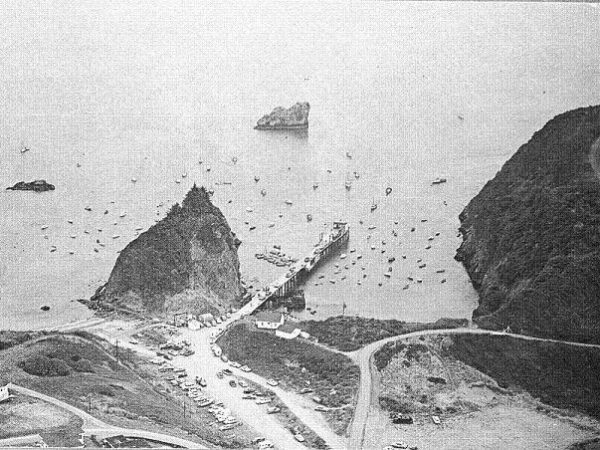 Aerial view of the thriving salmon fleet and pier parking, 1960s. 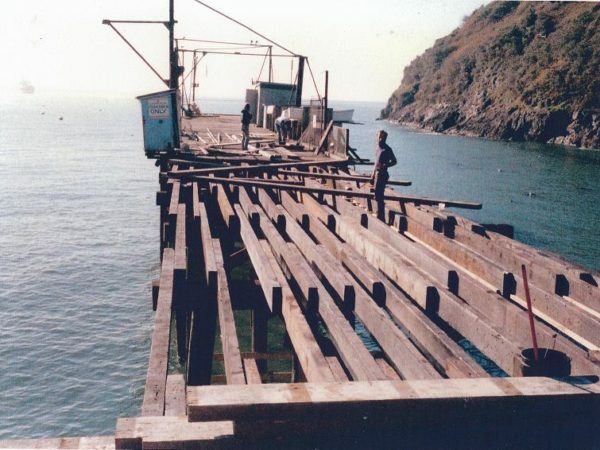 Hallmark Fisheries at end of pier. 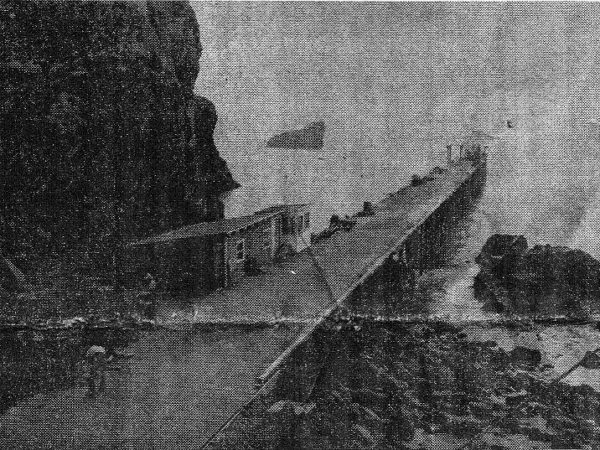 The Hallmark Pier was repaired regularly. 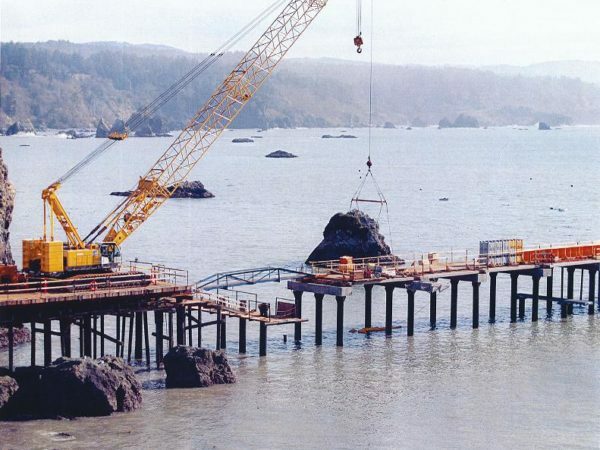 Bob Hallmark sold the pier, Seascape Restaurant, boat launcher, outbuildings and parking area to the Cher-Ae Heights Indian Community of the Trinidad Rancheria in 2000. 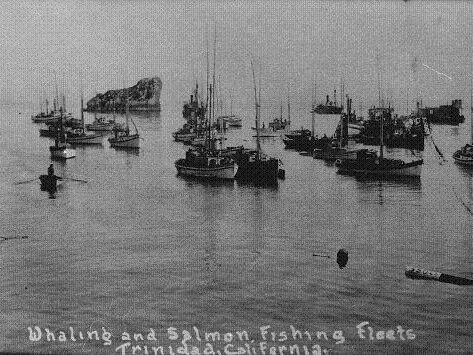 1920s Whaling and salmon fishing fleets. 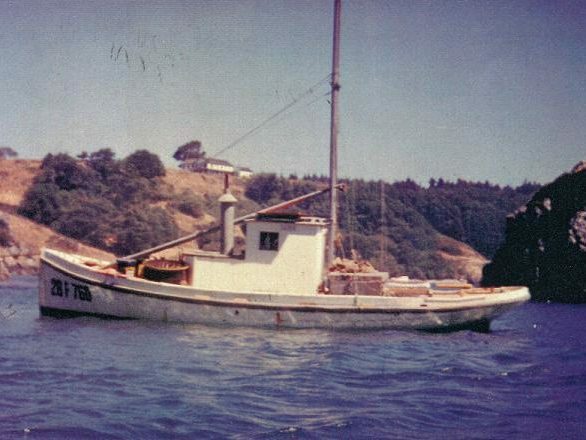 During World War II, fishermen were forced to adapt to war time U.S. Navy regulations which required the enlargement of identification numbers on the bow of their vessels. 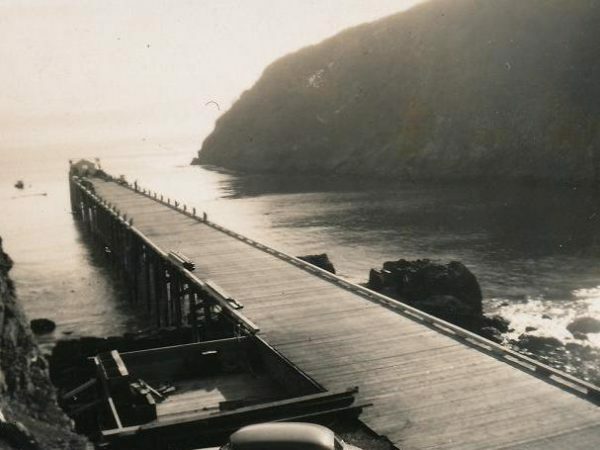 Mooring a Monterey, early 1950s. 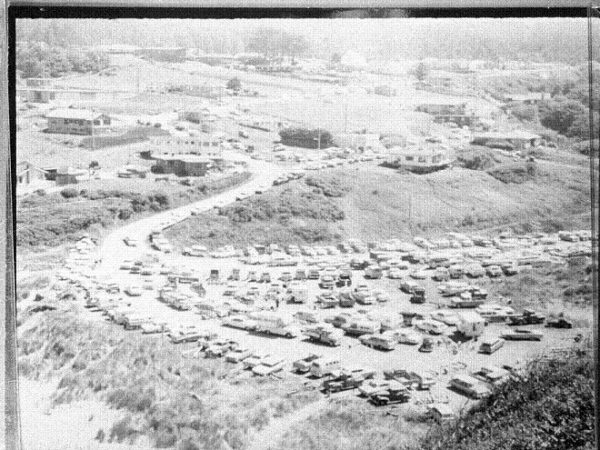 Busy 1970s salmon fishing crowd. 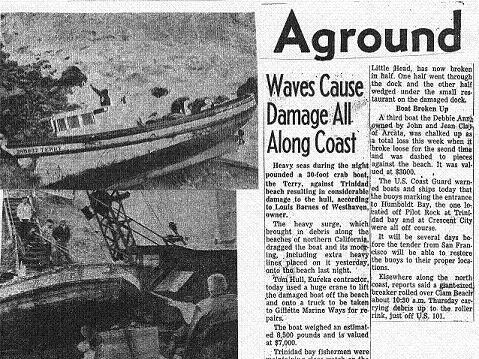 Trinidad's fishermen work in any weather, including during this unusual 1989 snow storm. 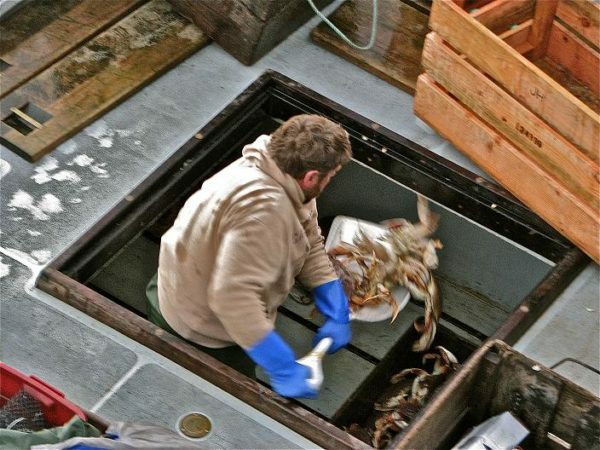 Before commercial crab season starts on December 1, the captains and their crew spend months preparing their gear and boats for the rigorous season ahead. 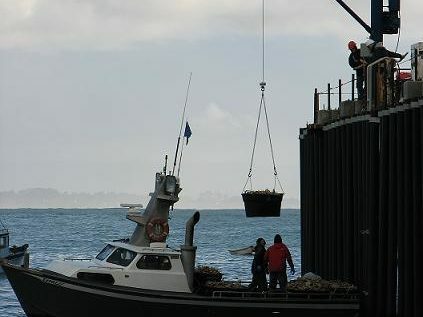 In the weeks leading up to opening day a parade of trucks can be seen bringing hundreds of crab pots down to the pier. 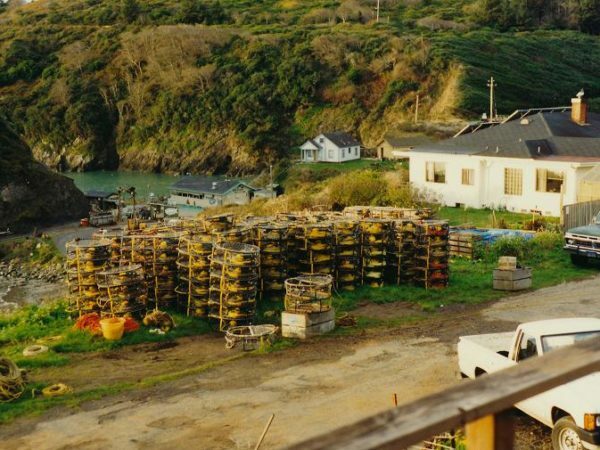 Crab pots are set in string, the number of pots in each can vary. 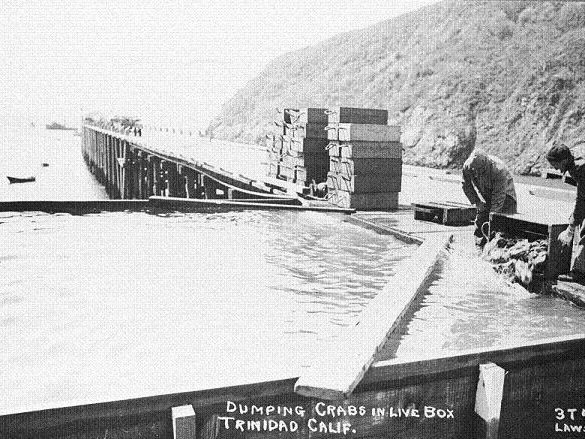 Once a board returns to Trinidad Harbor the crew must unload the crab from the hold of the boat into crab boxes so that they can be lifted by the hoist onto the dock. 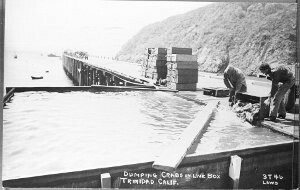 Once the crab have made it from the hold to the crab boxes the boat returns to the dock, hopefully stacked high with boxes of crab to send up. 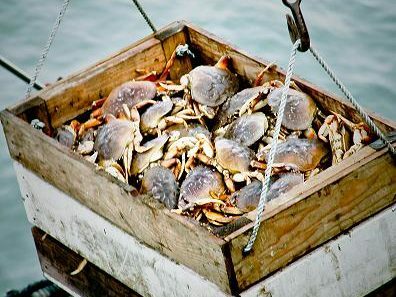 Those on the deck of the boat receive the hooks of the hoist and send the boxes of crab (full if it was a good catch) up to the dock one at a time. 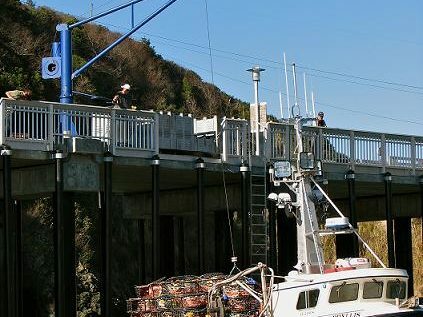 As the box makes its way to the dock the dock crew, weigh master, and buyers all prepare themselves. Though this image has a certain serenity to it, it is important to keep in mind the hectic atmosphere during the peak season. 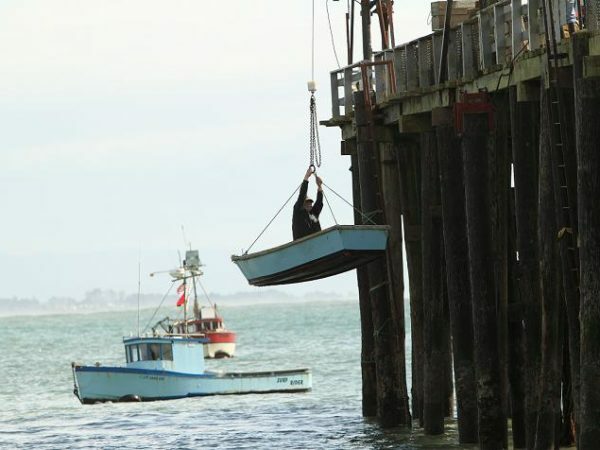 At the end of a long hard day's work, there is yet more work....Then the rowing begins.